Now that I have finished the two part series explaining how to make herbal papers, I thought I’d post a few recipes for homemade herbal inks. There is no special equipment needed, really, and the procedure isn’t difficult. The first recipe, for Oak Gall Ink is a homemade recipe from scratch, where you make the actual ink yourself. The second recipe is for a simple scented ink, which requires only store bought ink and a few other ingredients. The third recipe is for a colored ink. In this case, a red ink. With practice, you can learn which flowers will produce what colors and you can create many different colored inks using the same recipe. In fact, you may learn to blend all of these recipes in a creative fashion and come with a colored, scented ink made from scratch. Once you start doing this, it gets to be a lot of fun to see what you can come up with. Use your imagination! It’s up to you which recipe better suits your lifestyle as to how much time you have and how creative you wish to be. The first recipe requires a few more ingredients than the others but it is the basic recipe for homemade ink that can be altered to make variations. Which ink do you want to make? For me, the goal was always a colored, scented ink made from scratch. It takes practice and time but the end result is really neat and a lot of fun to share with the kids and your friends, too (if they are the crafty type). So dig in and get started! And let me know what the results come out like for you. 1. Steep the Galls in water for 24 hours and then strain. 2. Mix a few drops of the Essential Oil with a few drops of the Tincture of Myrrh and stir in the Gum Arabic. 3. Stir this into the Gall mixture. Add the 3oz of Crushed Iron. 4. Bottle and label. This is now a dark black ink. 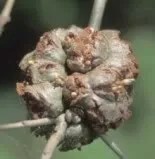 NOTE: As a substitute for Oak Galls, you can also use Bark of Blackthorn, Alder or Dogwood. They make an equally black ink. And you can always scent the Ink with whatever scent you choose by adding Essential Oils or substituting Fragrant Herb Infusions for the water. 1. Immerse the Herbs in Water and bring to a boil. Cover. 2. Lower the heat and allow to simmer for 30- 45 minutes. 3. Make sure that the mixture does not boil dry! Watch closely. 4. When all that is left is about 4 teaspoons, remove from the heat. 6. Strain, allow to cool and then mix with the Ink. 1. 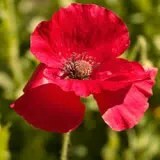 Put the Poppies in a jar and pour over with Boiling Water to cover. 2. Lid the jar and allow to steep overnight. 3. Add 15% Isopropyl Alcohol to preserve the color. 4. Strain and bottle the Liquid. This is a dark Red Ink. 5. Set aside and cool. If you wish to make much more of the decoction, multiply the amounts as given above by the amounts needed. Otherwise, you can make this recipe over and over again in this amount until the proper volume is achieved. Some very interesting points have been made here, it is refreshing to see that your site gets quality visitors.